The Vicar, Holy Trinity Anglican Church, Mushin, Lagos, Femi Osasonya, has urged the President Muhammadu Buhari-led administration to show more concern for the protection of lives of Nigerians, irrespective of ethnic, religious, or political sentiments in the interest of unity and progress of the nation. Osasonya also urged Nigerians, particularly, Christians to partake actively in the on-going voters registration exercise across the country, in order to ensure right people were elected into offices in the 2019 general elections. He lamented that Christians over the years had relegated themselves to the background of political landscape, saying, it was high time Christians take the front seat in Nigeria’s politics to play their quota in moving the country forward. The cleric made the remarks at the flag off and unveiling of Anniversary Logo to commemorate the 70th Anniversary of Holy Trinity Anglican Church, Isolo, Mushin which is scheduled for August this year. 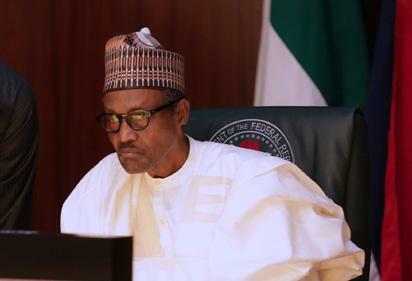 The post Cleric to Buhari: Show more concern in protection of human lives appeared first on Vanguard News.